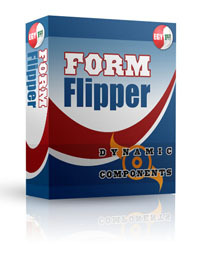 Form Flipper is the perfect program for those who write multi-language applications. This COM-based software adjusts your form's alignment and orientation to support languages that use nonstandard layouts, such as right to left. It is designed to work with Form Translator, which automatically translates a finished form into languages. With Form Flipper, you can easily sell your application to international markets and better communicate your trade. Rather than rewrite a whole new code, Form Flipper simply alters the code on your original form. This not only makes it faster, but ensures consistency and allows easier editing later on. You only have to design one program, instead of rewriting your code for every new version. Form Flipper is one of the first programs to support Eastern languages such as Chinese and Arabic. In fact, it is designed specifically for the reverse orientation common in Eastern scripts. Form Flipper will automatically flip your from 180 degrees when it recognizes a language that calls for it. Form Flipper easily integrates with any COM-based development application, such as Borland C++, Visual Basic, Visual C++, and Delphi. The flip function occupies only one line in the Form_Load event, so it won't clutter your program. Also, since it uses very simple syntax, you can easily spot the Form Flipper code when you scan your project. Form Flipper installs in less than a minute on Windows s98, NT, 2000, and XP. Upon installation, it saves the file DC_FormFlipper10.dll on the path C:Windowssystem32. Simply add this file as a reference (under the Project menu) to make it load automatically when you open your project. If you are interested in buying Form Flipper, we encourage you to use the free trial to familiarize you with the program's basic features.